For this weeks experiment we decided to explore a range of solutions and the reactions that they may or may not cause. But first with our buddy, we predicted if each of the solutions would make our planets EXPLODE! Then we moulded the baking soda mix into a planet shape. We chose to explode Neptune as it is the stormiest planet. Now it was time to test each of the solutions- lemon juice, water, coke and vinegar. 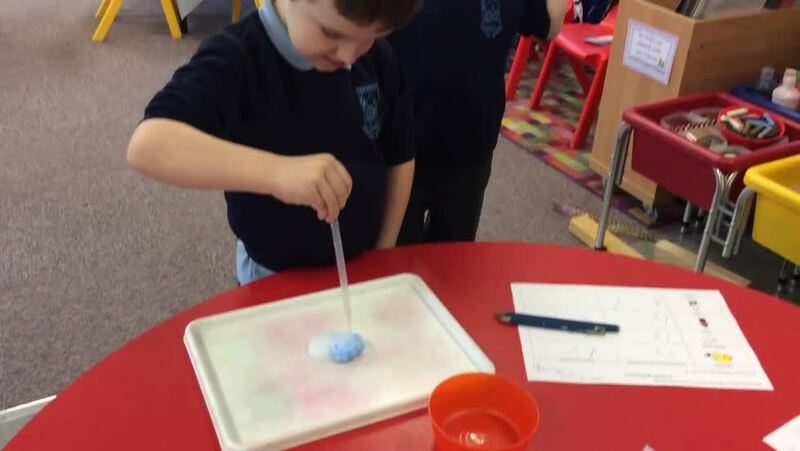 The lemon juice and vinegar created the best reaction as it bubbled and fizzed and even went cold to the touch. We even got some of our predictions correct. What great fun it is to be a scientist.